Does anyone know how seating in floor sections 50, 51 & 52 is numbered? Using Leonard as a reference, looking FROM the stage, is seat 1 to his left or his right? Why not call the Metro Centre box office Steve? It would also be interesting to know how many seats are in each block. I e-mailed the Metro Centre at 8am this morning. They responded that they would have someone respond to my query (it's now evening). How could they not know the answer to this simple question? How do people buy tickets for a floor section and not know if they are near the center aisle or the outside aisle? Why do most venues not put this info on their seating charts? What's the big secret? Here is a very detailed map of the Metro Centre in the half bowl configuration http://www.halifaxmetrocentre.com/site- ... 20Bowl.pdf. Although there are fewer sections in this configuration, the arrangement of rows for the LC concert is probably the same with regards to seat numbering. Each section has 14 seats in a row. Seat #1 is on the right looking from the stage (i.e. #1 would be on the Webb sisters' side). Also, here is a link to a photo of a concert setup http://deandrouillard.files.wordpress.c ... g_0454.jpg; it also seems to be in the half bowl configuration. Steve Wilcox wrote: Why do most venues not put this info on their seating charts? What's the big secret? Thanks Ken. I'm just getting around to justifying this show. Quite a few good tickets on kijiji. Steve Wilcox wrote: Thanks Ken. I'm just getting around to justifying this show. Quite a few good tickets on kijiji. It does seem like the Metro Centre will be a full house (or close to it) on Saturday night, which offers the great promise of an extra-energized show. 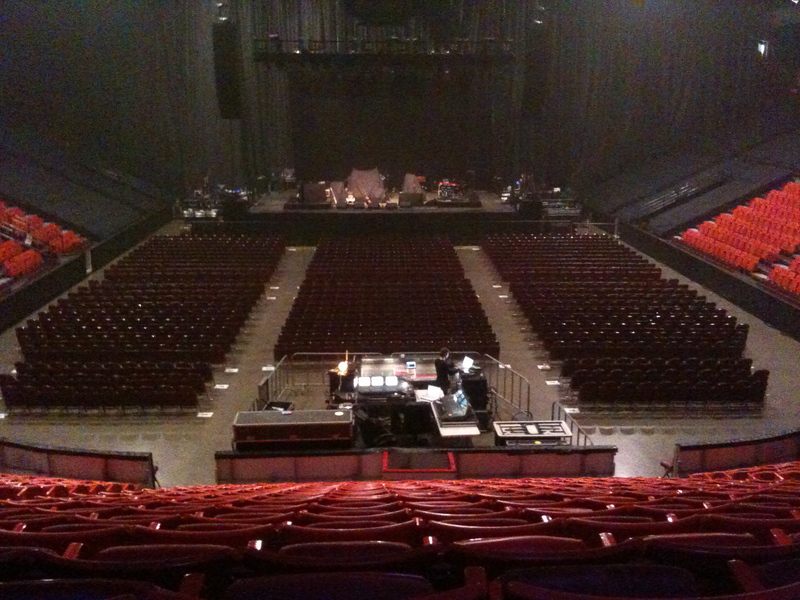 There are several indications that ticket sales have gone especially well in Halifax, e.g., they apparently succeeded in selling all the VIP packages (quite remarkable, if that is indeed the case), and several weeks ago they added entirely new sections on either side of the stage. Also, the official seller is only offering cheaper-priced tickets at the present time, and one would think it is getting rather late in the game to still be holding back blocks of prime seats. Of course, one can never really be sure of what is actually happening--concert promoters can be very cryptic in their marketing maneuvers. Late last evening (and me still without a ticket, but prepared to drive down Saturday and deal with it from there) the Metro website started offering very good tickets (middle of lower bowl, withing first two sections in front of stage (not side view)). I grabbed one. Then, when I checked a hour later it was back to the $45 seats. Someone must have turned in some tickets. Just fortunate timimg I guess. Meanwhile, the kijiji sellers are beginning to slash their prices with 48 hours to go. I was also shown that Wednesday night at FHS, the Safe Grad auction included 2 LC tickets to Halifax and a night at the Sheraton (minimum bid: $400). If I hadn't got my ticket by 6pm I was going to head up. I'm still wondering what seats they had and if they sold. When does the VIP package for Halifax arrive? The concert was April 13 th and I could have at least bought a program at the concert but I didn't as it is supposed to be coming with the "goodies". Would have made more sense to get this stuff before the concert. Is it a rip-off?